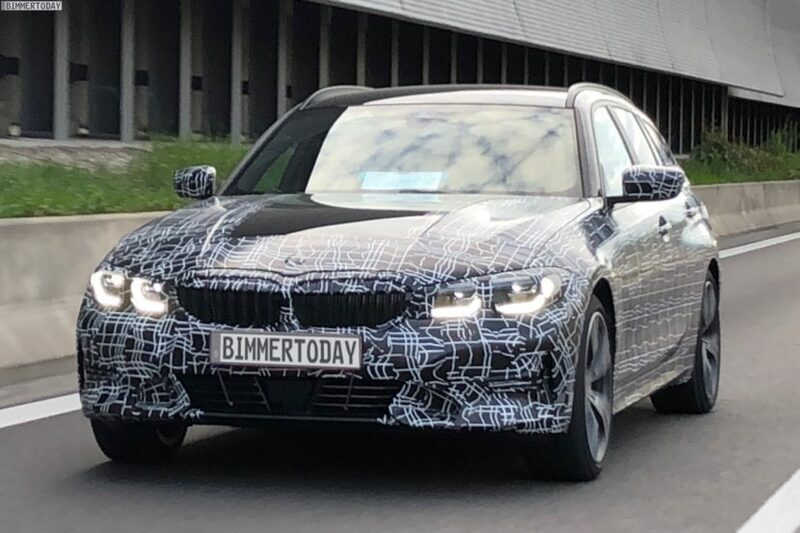 In these photos, the G21 3 Series Touring is heavily camouflaged, though we can see enough of it to get a good idea of what it’s going to look like. Sure, it looks a lot like the new G31 BMW 5 Series Touring but that’s not bad thing, as the G31 is one of the best looking wagons currently on sale. Still, the G21 3 Series looks handsome and surprisingly sporty. It looks lower and wider than the car it replaces and that makes it look more athletic than before. Also, the G20’s new taillights seem to work better on a wagon than the old F30’s, which seemed a bit odd on a wagon. These integrate into the rear tailgate well. What we’re really excited about, though, is not its looks. 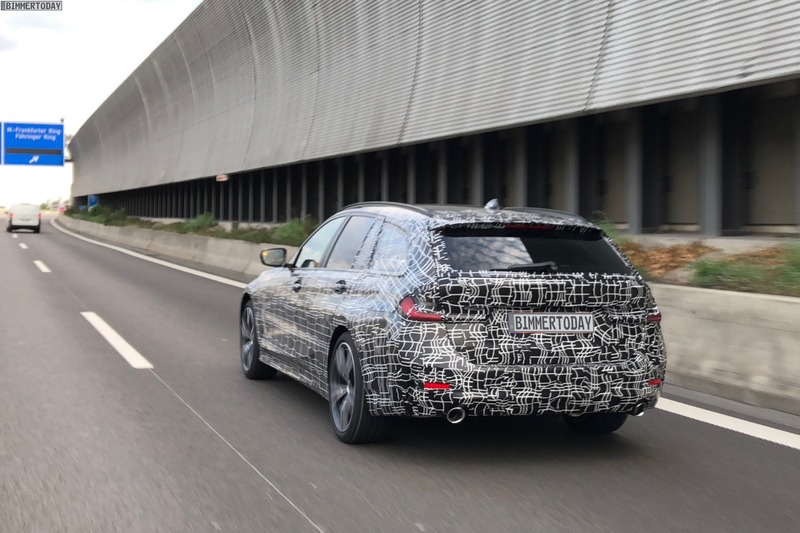 Rather, we’re excited about the prospect of a practical wagon sporting the same impressive dynamics that we’ve heard the new G20 3 Series sedan has. Thanks to revised steering, new lift-related dampers and a limited-slip differential, the new G20/G21 should be a superb handling sedan/wagon. Pre-pro test drives have even had journalists claiming that it very well could regain the segment crown from the Alfa Romeo Giulia. We can’t wait.